I have been waiting to get my hands on a kohlrabi and Sang Lee Farms had one at the farmer’s market. This is the very first kohlrabi I have ever had. I liked it raw; it is crunchy and would be good for a salad, but I decided to roast it because everything is better roasted. We enjoyed this as a snack but it would make a great side dish too. Preheat the oven to 400. 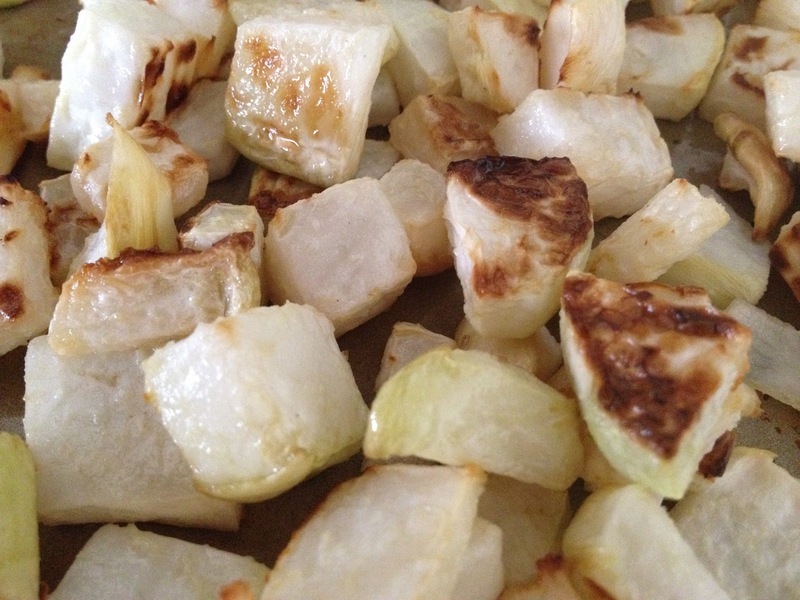 Cut the stems off the kohlrabi, peel it, and cut into cubes. Toss with olive oil and salt. Turn out onto a baking sheet and roast for 40 minutes, tossing half way through. Enjoy!